a chance to worship together and explore what God is saying to us prophetically so that we may see the Goodness of God flood Bayston Hill and beyond. Stepping into a church for the first time can feel a little daunting. We hope these thoughts help you feel welcome and comfortable with us. 1. Church is for everyone and we all come from different backgrounds and stages in our lives. 2. Some people like to dress up for church whilst others will be found in jeans and a t-shirt – come as you are – you’ll receive a warm welcome. 3. If your children make a noise in the service, don’t worry. Remember – church is for the young and old alike. We love to welcome children with us and hear them having fun. There is a space in the church for colouring, playing and dancing as well as the children’s groups available during term time. 4. Sometimes people will say that they’ve heard God say something to them. This is what we find happens in the bible and God hasn’t stopped since it was written. He loves to share with us today too through the youngest, oldest and all of those in between. Anything shared will be at the discretion of the service leader. 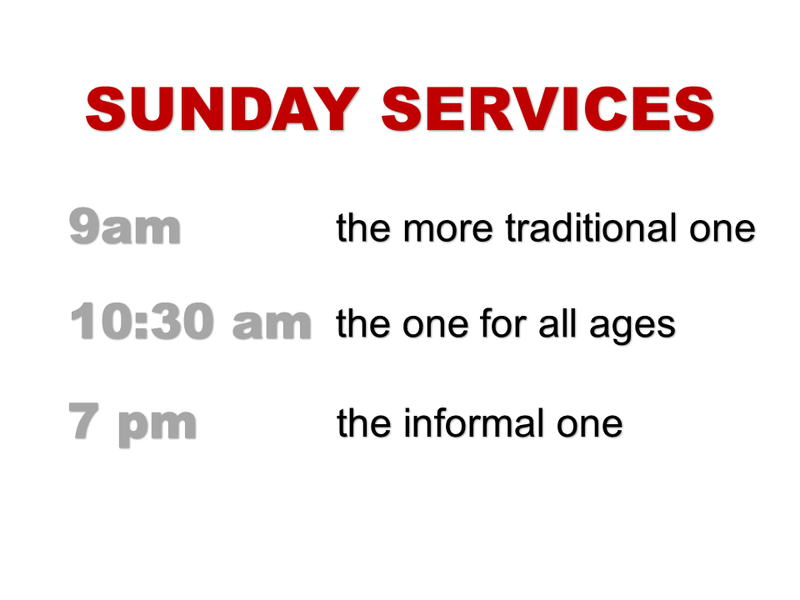 If you have any questions, they’d be delighted to talk with you after the service. 5. Finally, you may find you would like to discover more about what goes on here and more about Jesus. Again, please feel free to speak to the people who welcomed you through the door or anyone involved in the service.